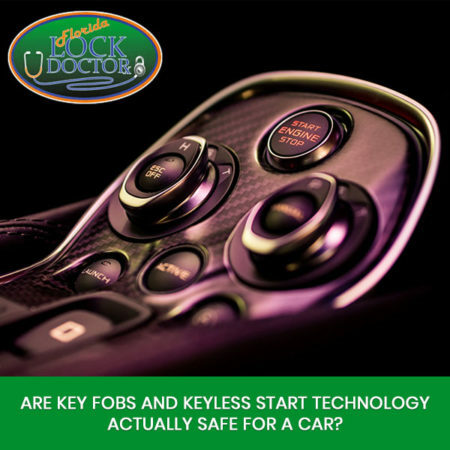 Are Key Fobs and Keyless Start Technology Actually Safe for a Car? Most car manufacturers like to keep up with technology and they equip their latest models with features that should make…using the car easier at first. But sometimes, these features backfire and turn out to be a bit dangerous. For example, key fobs and the keyless start technology were very well received by the market, but how many of you actually knew that these features may put you in danger of having a thief steal your car? To be more specific, key fobs, whether they’re ‘traditional’ models that just unlock the vehicle or newer ones, that also start the car, are recently reported as the cause of a lot of car thefts. Thieves are using a ‘relay attack device’, which acts by intercepting the signal coming from the key fob. This is not something new, however, as there were several cases of car theft in which the suspects used a similar method. In order to better observe how the device works and find out if it’s actually effective, officers from the National Insurance Crime Bureau bought the device and proceeded to testing. After testing 35 different makes and models of cars made between 2010 and 2017, they found out that eighteen of the tested cars actually ‘fell victims’ to the device. The conclusion was simple: it works just on cars that have a keyless remote, as well as a push-button start, as it electronically communicates to the vehicle, transmitting that it’s the actual fob. In order to avoid such unfortunate events, it’s highly recommended to keep your key fob inside a metal box, aluminum foil, or even a bag specially designed to protect electronics. By doing this, you’re blocking the signal sent by these relay attacking devices and you should be fully safe. “Most likely if they’re looking to make money off of it, they are stealing it to sell it in parts or trade it in to a chop shot to be sold in part,” revealed trooper Josh Lawson with Kentucky State Police. “That’s the main reason the chances of getting your stolen car back are not good. “It is on the lower end of our clearance rates for thefts because of the ability to dismantle,” he concluded. On the other side, if you want to find an alternative way of opening your car, since your keys are nowhere to find, due to various reasons, like losing them or forgetting them in the car, you can always use a locksmith! Simply call Florida Lock Doctor and help will come your way as soon as possible. Using their professional services, everything will be done quickly, without taking the car anywhere. Previous PostPrevious What Type Of Front Door Material Should I Pick?